Disclosure: I received a Red Lobster gift card for the purpose of this review. This post was made possible by Mom Spark Media. Thoughts are my own. Red Lobster's Lobsterfest is back and better than ever with nine new and classic lobster selections. 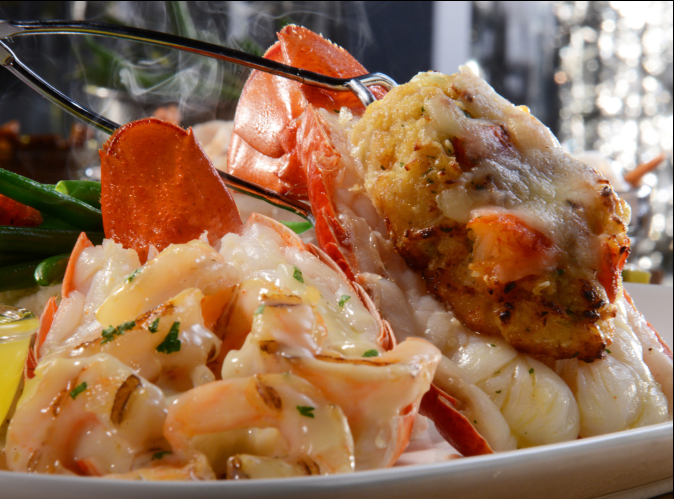 Dueling Lobster Tails: A roasted Maine lobster tail topped with tender shrimp in a creamy garlic sauce paired with a golden-baked Maine lobster tail with crab-and-seafood stuffing. Served over mashed potatoes, roasted tomatoes and green beans. Lobster in Paradise: A split Maine lobster tail fried in our signature coconut batter, spicy grilled shrimp and a lobster-and-shrimp bake topped with toasted crushed macadamia nuts. Ultimate Surf and Turf: A Maine lobster tail baked with crab-and-seafood stuffing paired with a peppercorn-seasoned grilled sirloin topped with Maine lobster meat in a citrus-hollandaise sauce. Served over mashed potatoes, roasted tomatoes and green beans. Lobsterfest entrees are served with a garden salad and unlimited Cheddar Bay Biscuits®. 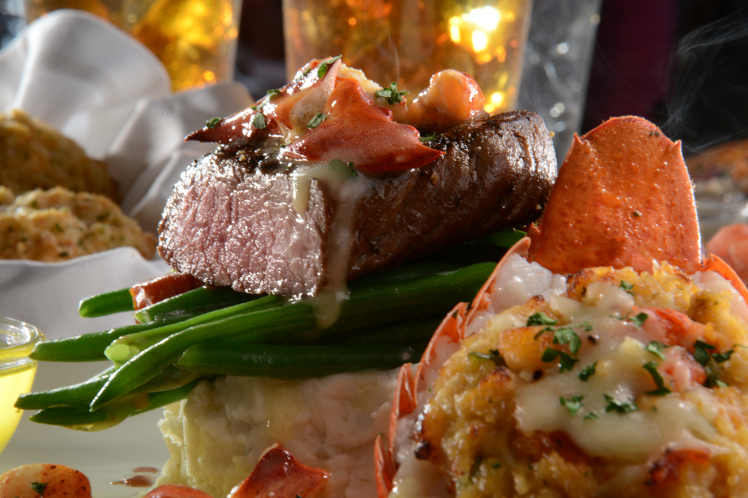 In addition to menu items exclusive to Lobsterfest, Red Lobster will feature special offers only during Lobsterfest. 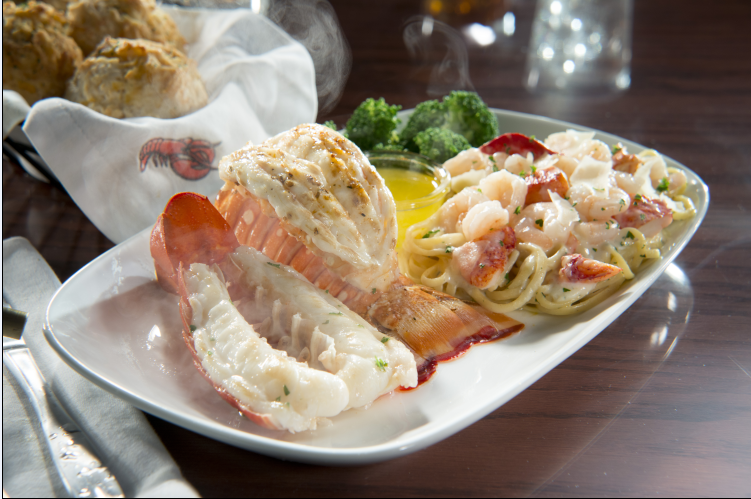 Nothing compares to the succulent, delectable flavor of a juicy lobster tail. At Red Lobster, we know our guests crave the best of the best when it comes to lobster, and Lobsterfest offers an exclusive opportunity to enjoy the delicious, high-quality lobster they love. Darden's origins trace back to the first Red Lobster restaurant that opened in 1968 and, today, we are one of the largest purchasers of seafood, which includes North American lobster, in the United States. At Red Lobster, we are lobster experts. In fact, we’re the best of the best – second to none. We were the first casual dining seafood restaurant company to open locations across the nation, and today we serve approximately 10 million pounds of lobster each year at more than 600 restaurants across North America. In our commitment to provide our guests with an authentic dining experience, Red Lobster only sources the highest-quality seafood from cold and warm water regions. We were the first restaurant to deliver fresh lobster nationwide, and our innovative process allows us to bring fresh, high-quality lobster straight from the coast of New England to guests all around the country. Red Lobster's Lobster Dream Entree -- Mmm, so good!!! Each year in February, we make a point to get the entire family together, including my parents, brothers, cousins and now all the grandchildren, and go to Red Lobster for their annual Lobsterfest. 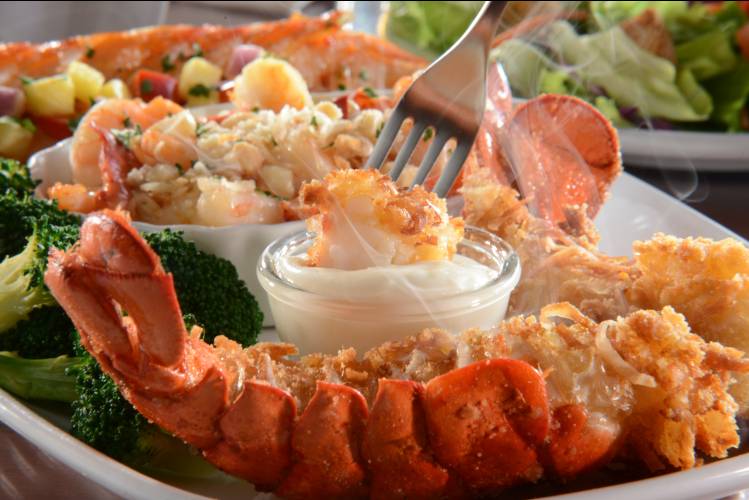 Red Lobster really does know how to celebrate lobster, by offering their guests succulent lobster dishes, that will have you wishing you had more room at the inn, to have just one more bite. :-) Of all the years we have been to Red Lobster for their Lobsterfest, we have yet to be disappointed. The quality of their lobster and seafood is amazing, and the dining staff really make you feel like you are sitting around your table at home, enjoying a delicious meal. You just have to remember not to fill up on the Cheddar Bay Biscuits, so that you can truly enjoy the entree when it arrives. :-) I have never been able to enjoy dessert in the restaurant, as their surf and turf always gets me full. My family always laughs as I always say at the beginning of the meal that this time I will be getting the chocolate wave and eating it at the restaurant, instead of taking it home like I always do. The largest lobster on record weighed 44 pounds. However, lobsters that weight more than 20 pounds are typically returned to the sea because they're too large to easily cook. Lobsters come in many colors, including orange, yellow, green multi-colored and even blue -- although the odds of catching a blue lobster are pretty slim at only one in four million! Lobster is very high in protein, and there are only 96 calories in 3.5 ounces of lobster. Red Lobster serves more than 10 million pounds of lobster per year, including the popular Maine lobster, along with other varieties, such as Rock and Icelandic. Not a fan of seafood? Don't worry, as you can still enjoy a delicious meal from Red Lobster. They offer an assortment of steak and chicken dishes, like Maple-Glazed Chicken, Parmesan-Crusted Chicken Alfredo, Blue Cheese Sirloin and a 12-ounce peppercorn-seasoned Center-Cut NY Strip Steak. There is also a vegetarian offering including salads and a tasty Roasted Vegetable Skewers entree, which is topped with a lemon-garlic beurre blanc and served with wild rice pilaf. My cousin was so happy to find a vegetarian offering like this, as most restaurants don't offer vegetarian dishes. 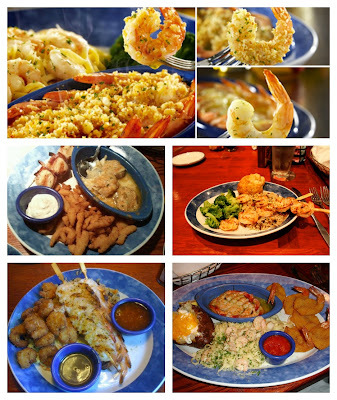 So, whatever your fancy, Red Lobster is the place to go for great food and conversation with family and friends. And, with the current Lobsterfest celebration going on for a limited time, why not grab the family and head to your local Red Lobster to try one of the three new lobster entrees, as well as the other customer favorites. Whatever you order, you will not be disappointed! To learn more visit RedLobster.com, and connect on Facebook, Twitter and Instagram at Facebook.com/RedLobster,@RedLobster and @OfficialRedLobster using #bestlobsterfest. This is my favorite time of the year! Spring is almost here, it's my birthday time of the year and best of all it's Lobsterfest at Red Lobster we go every year I love love love it! You really have some great facts listed in this post boy I would have love to have caught that 44 pound lobster. I would love to try the ultimate surf and turf!